Getting your hands around the FPV setup is one step closer to making your Phantom’s video quality a milestone achievement. 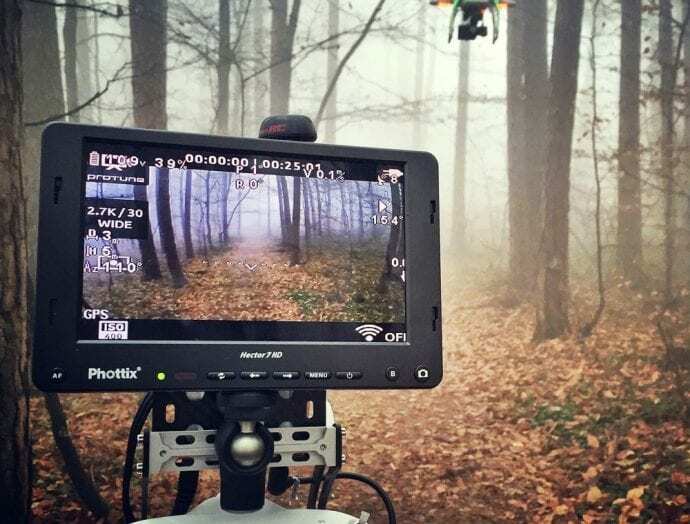 FPV is substantially important not only for Phantom drones, but for other multirotors, due to its tremendous function in aerial photography and videography. In case you have no idea about what the FPV is; it is the “First Person View” in the drones that enables the perfect framing of subjects in aerial photography. It can be relatively impossible or extremely challenging to maneuver your aerial footage without quality FPV setup, that’s why we have crafted this article to walk you through the guideline towards achieving a top notch quality of your drone. The precise, smooth panning transitions are also attributable to the quality of your FPV feature. 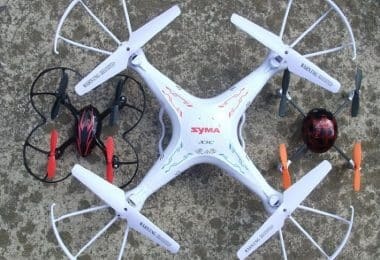 In this article, we will give you insights about which components to purchase, how to install the FPV and set it up. 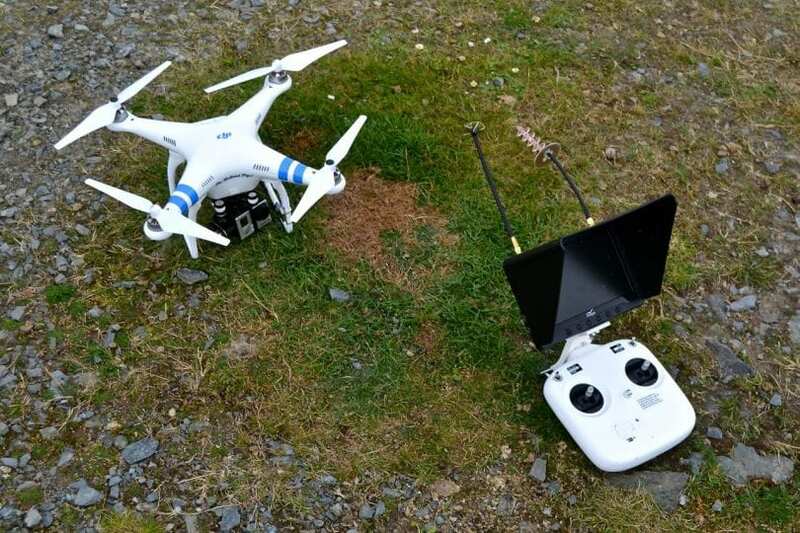 But please note, that the techniques given herein were demonstrated using the Phantom 2. 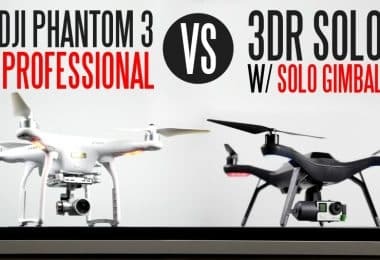 We assume that it should be the same techniques to other models of the same company such as the Phantom 3 and the Phantom 4 if you want to optimize their video quality. Now let’s get started. How to get started on doing the FPV for your Phantom? Prior to starting, please ensure that you have the video transmitter, video receiver and the monitor mount as the basic components of the process. In many instances, these components are included in your first ARF packages. If not included, then you can purchase them at affordable prices online. RTF models may be challenging to maneuver. This monitor has a 7-inch size with a resolution of 1024 X 600. It comes with a built-in 1100mAh Li-Po battery and support 5 modes. But the video transmitter compatible with this monitor is sold separately. Furthermore, this monitor comes compatible with 32 channels, meaning it can pair with numerous transmitters including the ImmersionRC transmitter that we recommend in this regard. The charger is included. So for a great aerial photography, you should get this monitor for your Phantom drone. Having a great FPV monitor is a good investment in the security of your monitor/video receiver. Most of the monitors are expensive, so you wouldn’t like to jeopardize their safety with inferior FPV mounts. The YKS RC aluminum FPV monitor is one of the best and the cheapest monitor mounts for transmitters. It is compatible with the DJI Phantom drone. It can also be used as a neck strap balancer. 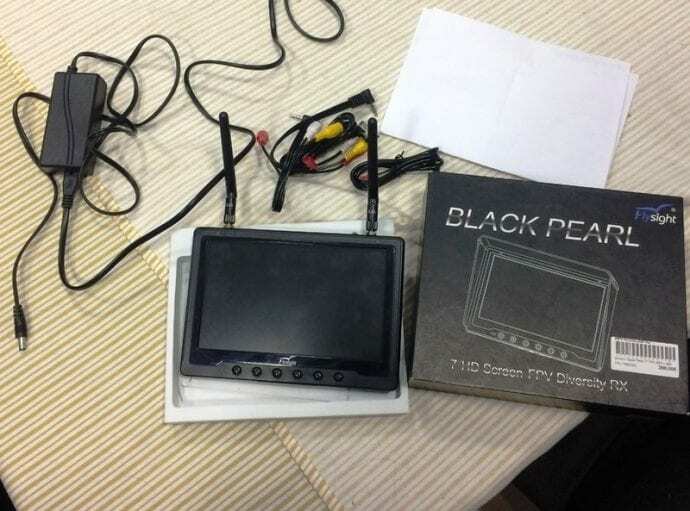 Now, pairing the ImmersionRC video TX with the Black pearl monitor will provide you a great aerial videography. This transmitter has a frequency of 5.8GHz so, in particular, it won’t be affected by or interfere with 2.4GHz R/C radios. When you have these 3 components, you will be ready to get started with perfecting the FPV for your Phantom. 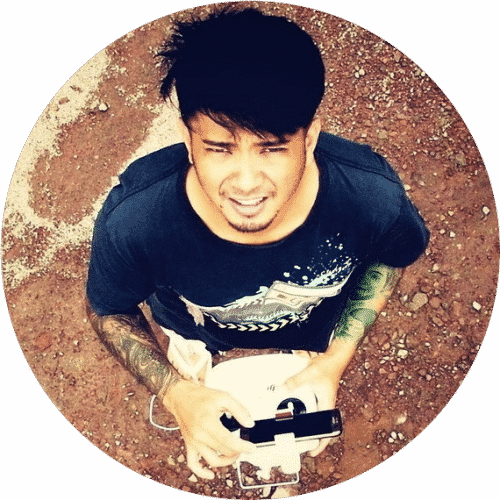 Let’s start with the installation part of the video transmitter on your Phantom 2 drone. How to install a video transmitter on a Phantom drone? We have advised you about the ImmersionRC A/V Transmitter as the best transmitter compatible with the Phantom. We will therefore emphasize on that transmitter throughout our lessons on how to install a transmitter. Even if you’re a beginner in technical experience of installations, it should be easy by following the demystified steps that we will give below. In our installation guide, we will only use three wires. Remember the tools that we mentioned above? They now come into place in this installation guide of the video transmitter. Let us unfold the step-by-step procedure below. Then make an equal length of those wires by cutting them, then use the wire strippers to strip the excess insulation from the wire. This will enable an easy soldering. Now attend the wires found underneath the Phantom. There’s a tape covering them. Just remove it to access the 4 wires on the drone. You should familiarize yourself with the identity of those wires. For instance, the wires on the drone, the yellow is for video, brown for ground and red for power. On the video transmitter, the yellow is for video, black for ground and the red for power. The next step is to take out the battery from the Phantom after removing the insulation on the wires of the drone the same way that you did with the ones of the transmitter. As we said, we use only 3 wires. Then apply the soldering paste on all the exposed 3 wires of the transmitter as well as those ones for the drone. Put the heat-shrink tubing on the transmitter wires. Then use the preheated soldering iron (preferably heated to 260 degrees Celsius) to solder all the wires individually. Once the solder has been applied properly on the individual wires, solder them together. Remember, you’re now soldering the 3 wires of the ImmersionRC video transmitter with those ones of the Phantom. As you solder them together, yellow should be soldered to yellow, brown to black and red soldered to the red wire. You should then use the lighter to shrink the tubing, but avoid damaging the insulation any further. If not careful, it can melt. Now comes the mounting of the video transmitter. Use the double-sided tape to mount the transmitter underneath the Phantom. When mounting, keep the wires far from affecting the gimbal and the vibration dampeners. That’s it with the installation part of the video transmitter on the Phantom 2. 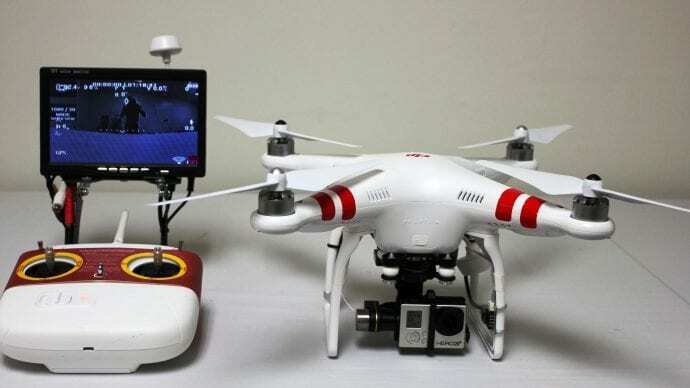 Watching this video will help you installing video transmitter on Phantom 3. Also, this video could be helpful on how to mount the transmitter on the Phantom 2. 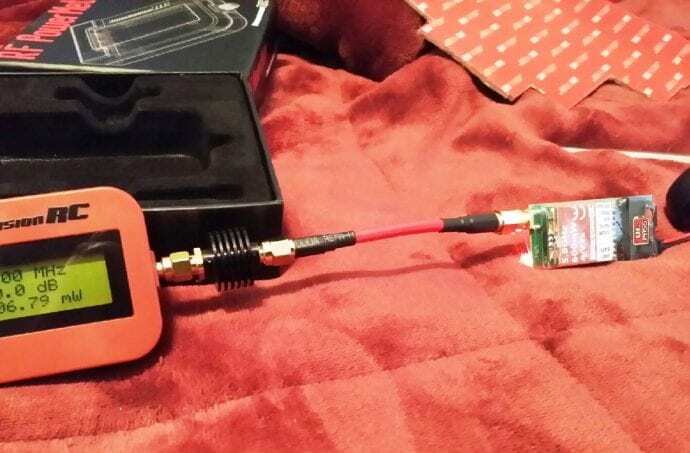 Now that you’ve learned how to install the immersionRC transmitter on your Phantom 2 drone, let’s uncover another incredible hands-on way of getting the monitor to work well with the Phantom 2. How to configure the monitor to work well with the Phantom? In this quest, we will have to assemble the YKS RC Monitor Mount Bracket for Transmitters. This mounting bracket will help us attach the monitor on the Phantom controller. To make things easy, check this video. The next step after assembling the mounting bracket will be to put it on the video transmitter, the one we recommended above. Then use the washer and the screws to attach the mounting bracket on the neck-strap mount. The subsequent step will be to mount the Black Pearl RC801 HD Monitor. Use the thumb screw supplied with the mounting bracket. Once mounted, you can maneuver the monitor’s adjustments until it is properly placed to your satisfaction. You are not done yet. It’s time to configure the video transmitter and the FPV monitor so that they function harmoniously. Attach the two antennas and plug the power cord into the charging port of the monitor. We assume the battery is already in the monitor. Meanwhile, look for the switches on the video transmitter, which are usually found under the clear plastic. Remove that plastic and configure those switches using this pattern down – up – down – up. After dealing with the switch configurations, turn on the PV monitor by pressing the power button hard for a few seconds. The button situated on the far right of the monitor will help you change the channel to 6. Don’t forget to switch on the Phantom too. A black screen will then appear, and to see the live video transmission you should turn on the GoPro camera. It might happen that you see some annoying lines that interfere with your video transmission quality. 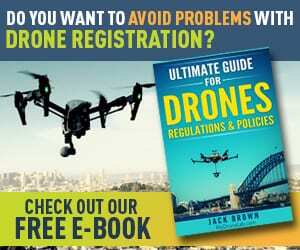 You can also maneuver that by doing it yourself instead of having to wait for the DJI company to fix the issue on your behalf. We will guide you below on how to fix those lines by re-grounding the video signal. How to remove the video-interference lines? We still have to do some moderations here in the form of soldering. 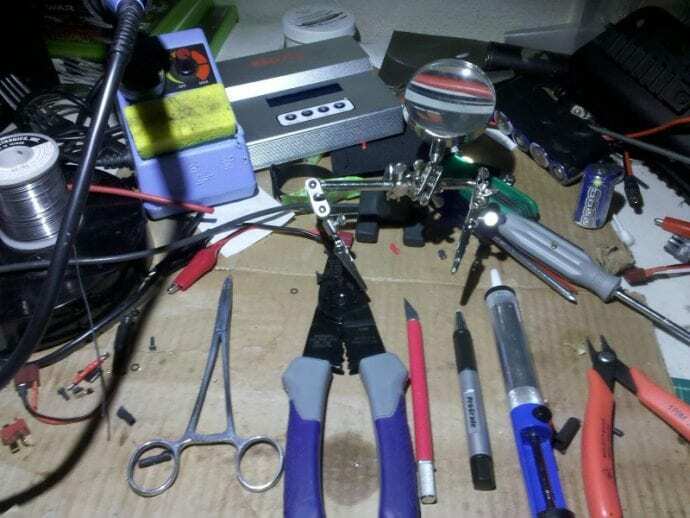 You probably know about soldering now, especially if you have read above. Before we could delve into the procedure, let’s help you understand the emergence of these interference lines below. 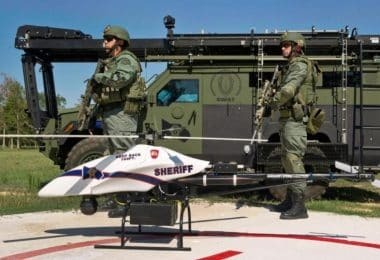 The noisy power signals are attributed to the interference lines that compromises the video quality of your Phantom drone. They emerge from the operations of the brushless motors of the gimbal. We know that the gimbal is used as a mount wherein the GoPro camera is attached to provide stability. But regardless of that stability, the interference lines appear. It is the high frequency of the motors when they operate in opposite directions to keep the gimbal in a static position. As a result of the static position of the gimbal, vibration is eliminated in the footage quality. But we still have to get rid of the interference lines. The fact that all the electronics in the Phantom are connected to one battery contributes to the emergence of these interference lines. They all have the same ground as a result of that common connection on the same battery. So, we have to fiddle around the video transmitter in a bid to reduce the noisy ground connection. This will be achieved by manipulating the ground wire (black wire) of the video transmitter. Follow the steps below in accomplishing that? Start by inserting the ground wire of the video transmitter into the transmitter’s plug. It should be on the right side of the yellow wire. Then plug the plug into the transmitter. Now have a look at the USB plug of the gimbal. You’ll see a solder underneath the connector. We are going to solder the ground wire on the connector. The next move is to put solder on the end of the black (ground) wire and the connector. Then solder the wire to the left of the USB plug for it to stick out of the gimbal. After the solder has cooled, reconnect the USB plug to the gimbal. Check the gimbal’s mobility to see if the new wire doesn’t interfere with it. Try to re-on your Phantom drone to see if those annoying lines still emerge in the video feed. We hope that by manipulating the wires as guided above, you will be able to deal with them and reduce the noisy signal. It shouldn’t be a difficult task even if you had no background in electronics. We have come to the end of our lesson on how to do the FPV with your Phantom drone. As we’ve highlighted already, the lesson is centralized around the Phantom 2, but it can be simulated with the other models. In our lessons, we have expanded our guidelines on the components needed to install and set up the FPV. These were the monitor/video receiver, the transmitter and the mounting brackets. 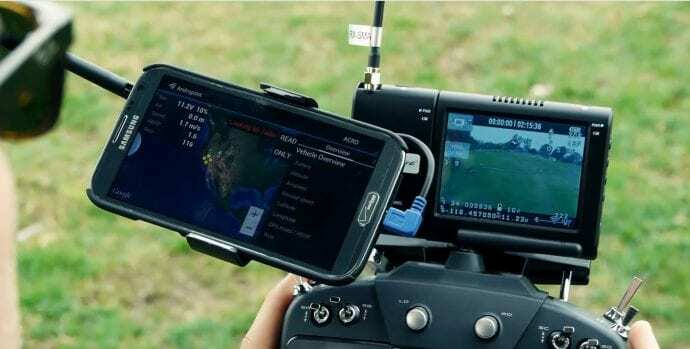 Configuring the FPV is an inescapable responsibility if you want to obtain high quality video footage because the interference lines on the video are intolerable. We have put more efforts in guiding you through the process, and as such believe you can start right now. Do you have alternative methods to do the PV with the Phantom 2 or any other model of the DJI company? Please share with us in the comments section below.